Ed's artistic journey began in Baltimore, Maryland, where he was encouraged early on by high school teachers and private tutors to pursue a career in the arts. After winning some notice in a few local art shows and working for nearby printing companies he joined the Air Force in 1969. The Air Force put Ed to work in the graphic arts field at Altus Air Force Base, Oklahoma. He then moved on to the Washington D.C. area where he worked for the 1361st Audio/Visual Squadron in support of the Pentagon and the Aircraft Recognition Training Program. He had several paintings accepted into the USAF Art Collection, which hangs in the Pentagon. From D.C. he traveled to Berlin, Germany to develop briefing graphics for top level Security Service personnel and visiting dignitaries. Ed was then assigned to Langley AFB to develop security briefings for the Chief of Staff. Ed then applied for and was assigned as a medical illustrator at The School of Health Care Sciences at Sheppard AFB, Wichita Falls, Texas, illustrating various anatomical charts and training aides for medical students. He spent the last nine of his 21 years in the Air Force at Kelly Air Force Base, San Antonio, Texas, as Assistant Art Director and illustrator for AIRMAN Magazine. 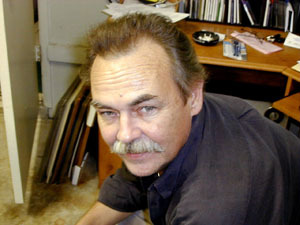 Ed has pursued his fine arts career and free lance design assignments since retirement from active duty in 1990. His paintings have been exhibited in Las Vegas, NV; Taos, NM; Washington, D.C. and many private collections. Ed currently lives in the community of Summerlin, Las Vegas, Nevada. www.davisarts.com © 2006 Davisarts. All rights reserved.